One of the great events planned for Pierce County READS 2016 happens at Museum of Glass (MOG) on Thursday, March 17. It’s called Made at the Museum: Native American Artists. It’s an interesting blend of pieces created by Native American resident glass artists over the past decade and the written art of Sherman Alexie. The special display will include artist Corwin Clairmont’s piece, Traditional Cedar Bark Berry Basket. Corwin N. Clairmont (Member of the Confederated Salish and Kootenai Indian Tribes, born 1946); Traditional Cedar Bark Berry Basket, 2009; Blown and hot-sculpted glass; Dimensions vary; Collection of Museum of Glass, Tacoma, Washington, gift of the artist. Photo by Duncan Price. Here’s something he wrote about it: “The cedar basket is a reminder of the place we live, and a direct connection with our ancestors and the important lessons embedded in this wonderful form. 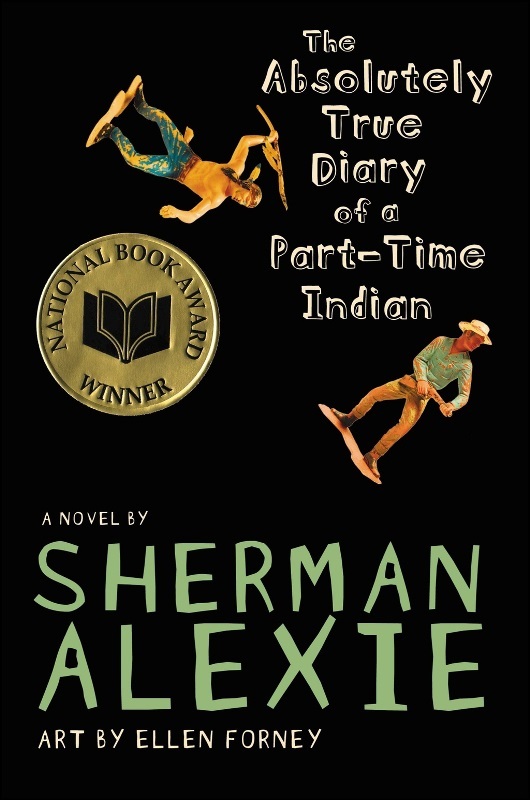 We asked Clairmont a discussion question, inspired by Alexie’s best-known and most controversial book, The Absolutely True Diary of a Part-Time Indian. Can you have the same relationship with your home when you’ve moved beyond it? Clairmont answered (in part) this way: “Not sure if you can ever completely move beyond home as we are tied to the land/place, family, friends and tribal community. I’m looking forward to exploring what connects these two people and the other glass artists represented, including Preston Singletary, Raven Skyriver, Marvin Oliver and Joe Fedderson. 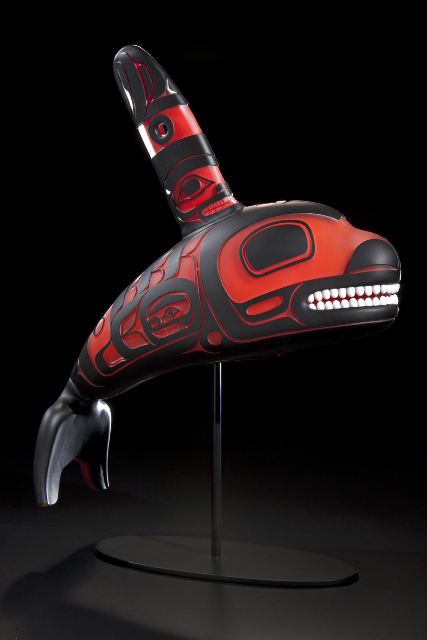 Preston Singletary (American Tlingit, born 1963); Killer Whale, 2009; Blown and sandcarved glass; 25 x 16 x 7 inches; Made at Museum of Glass, Tacoma, Washington, gift of the artist. Photo by Russell Johnson. The Made at the Museum: Native American Artists and Pierce County READS book presentation takes place on Third Thursday, March 17, from 6 to 8 pm. Admission to Museum of Glass is free. Find out more about Sherman Alexie and Pierce County READS 2016. Beth Luce works at telling the story of Pierce County Library System, which has 20 locations throughout the county. This entry was posted in Art, Artists, Events, Glass, Museums and tagged Corwin Clairmont, glass art, Joe Fedderson, Marvin Oliver, Museum of Glass, Nancy Blair, Native American art, Pierce County READS, Preston Singletary, Raven Skyriver, Rick Bartow, Sherman Alexie, Tacoma, The Absolutely True Diary of a Part-Time Indian, Third Thursday on March 11, 2016 by Museum of Glass.